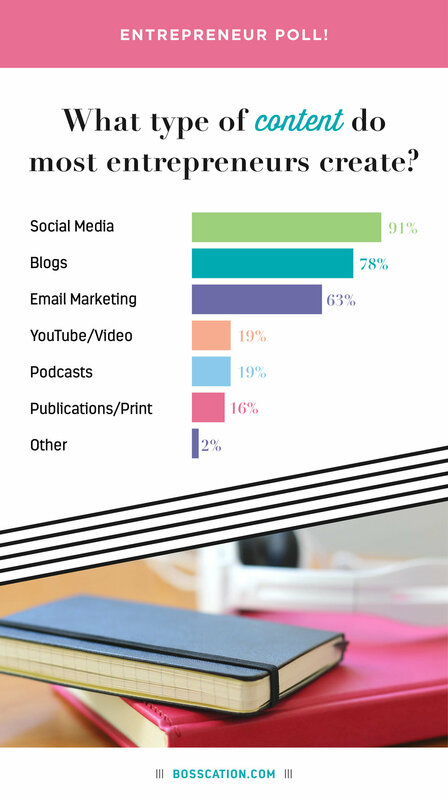 The benefits of content marketing far outweigh the burden of creating it. Content builds relationships and loyalty with your audience and develops your know, like and trust factor. It warms up your audience so they’re ready and excited to buy. It drives traffic and awareness, positioning you as an expert or an industry influencer. It ensures you’re driving the right traffic to your website and offers. 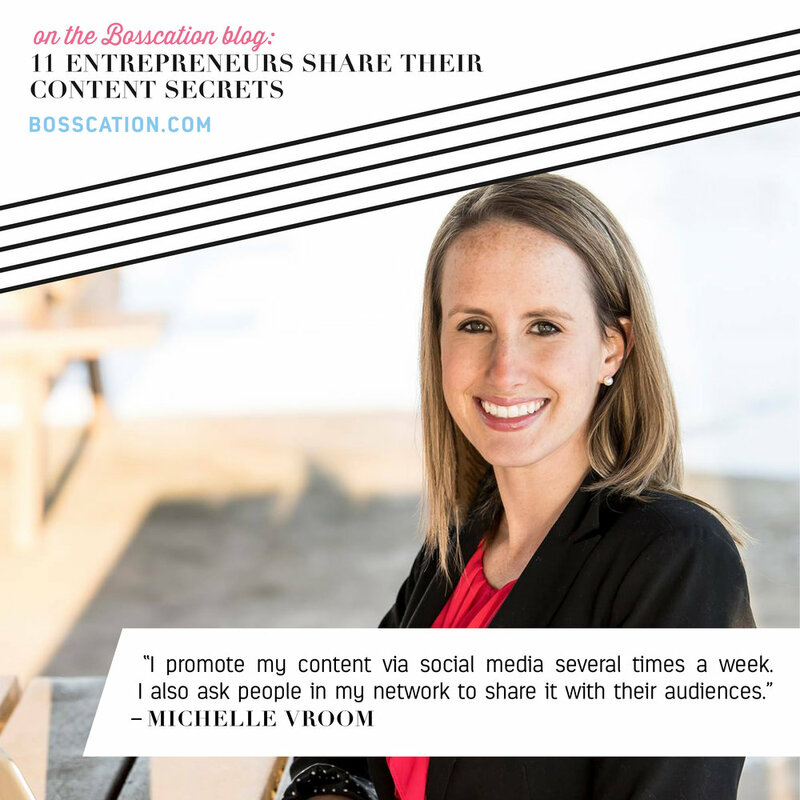 Even if your business runs off referrals, it’s important to keep producing content. 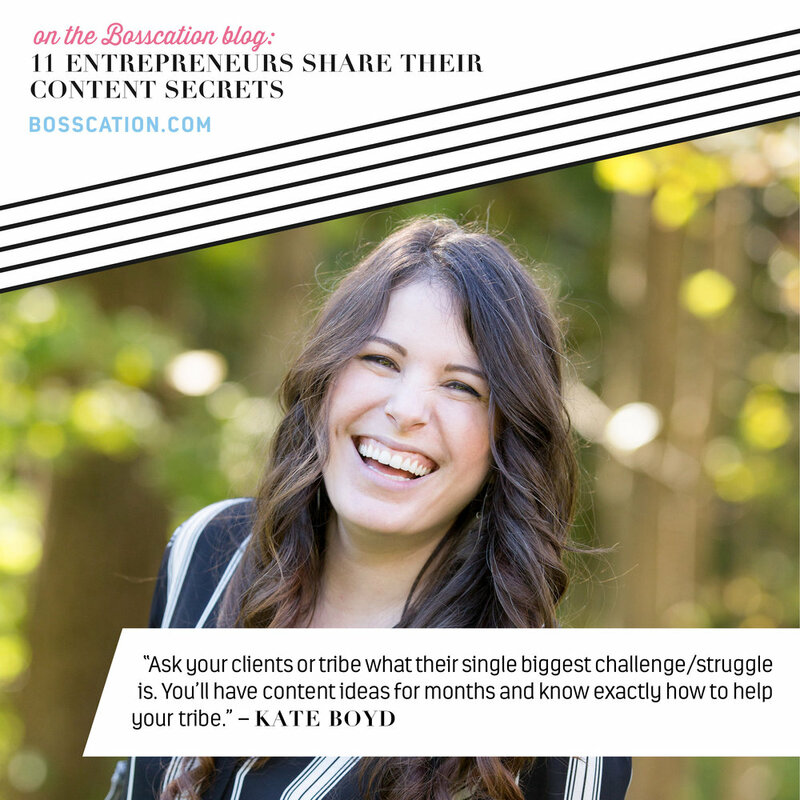 That way you don’t get stuck in a feast or famine cycle once your current projects and referrals dry up, and you can book yourself out with a wait list! It’s great for SEO and keeping your business top-of-mind. It opens the opportunity to scale. 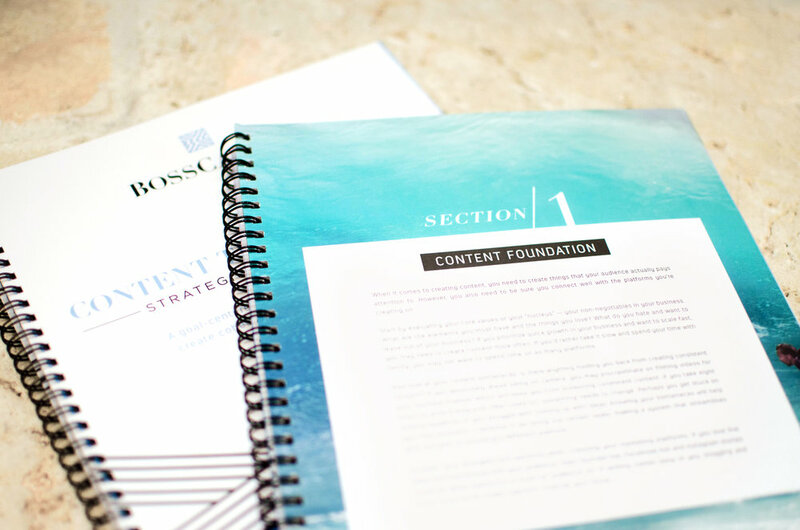 While I’ve already explained how to become faster with content creation, how to overcome your content blocks & setbacks, and what marketing mistakes to avoid, this post provides a behind-the-scenes look at the final piece towards ultimate content creation: our Content That Converts strategic planning guide. 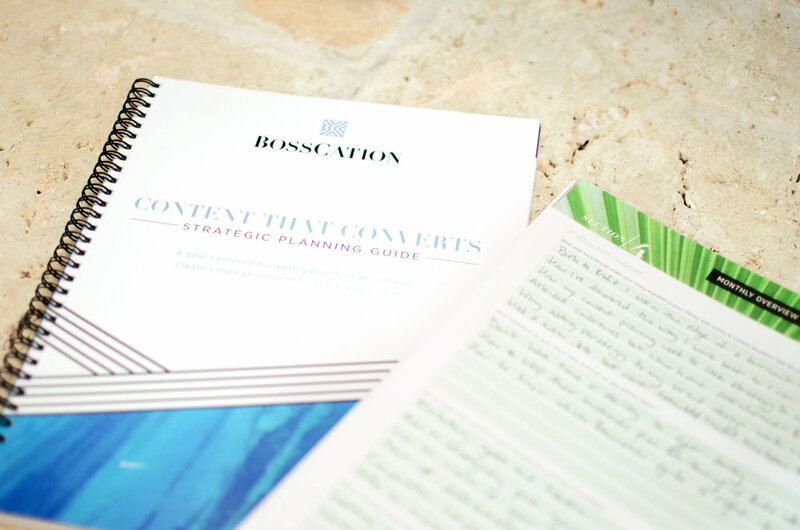 Why Use a Strategic Planning Guide for Your Content? What Makes the Content Planner Strategic? 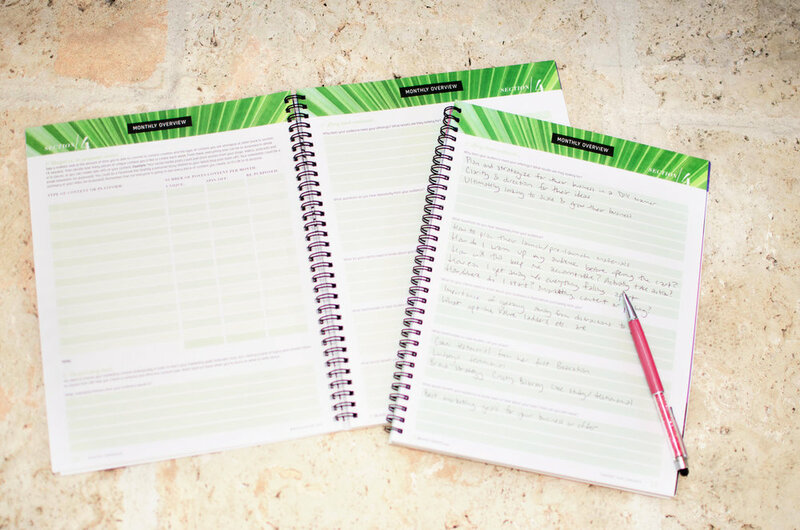 Our planner doesn’t just provide space to outline your blog posts — anybody could do that with a pen and paper or even in their computer. It starts with your foundation to ensure you’re building out the right type of content for you and your business. If you absolutely hate recording videos, are you really going to produce one each week? Not likely… at least, not without hiring parts out or creating a better process. Determine what’s holding you back and how you can find a good workaround or solution. Understanding your audience is critical for creating content. If the common thread that ties all of your clients together is that they’re super busy, then they may not be reading blog posts or watching videos. They may, however, be listening to podcasts and audiobooks, so providing audio options is key to getting your message heard. 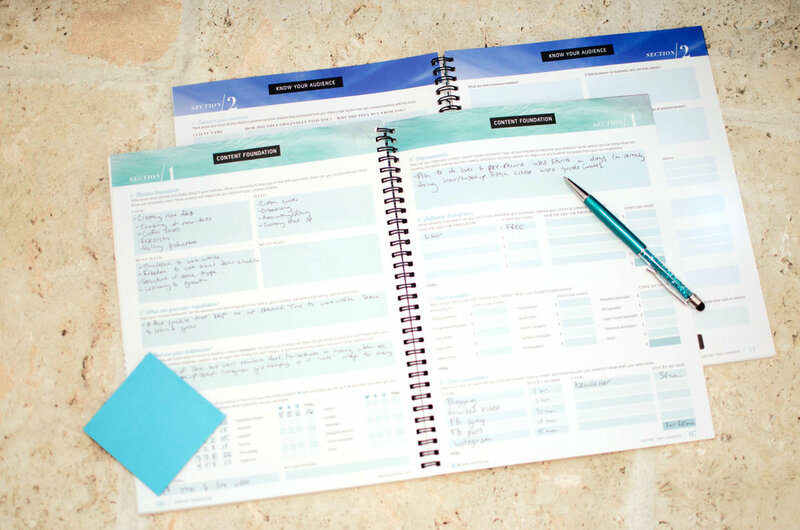 While we don’t dive as deep into your ideal clients in the Content planner, I still have a dedicated section for honing in on your audience. From there, you determine the best goals for your content. If you’re selling a no-brainer, low-priced offer, you may just need traffic and awareness. You could run a few Facebook ads and social media campaigns to get the word out. If you tried those same tactics for a $3500 brand design package, you’ll just be throwing money at Zuckerberg with no ROI. High-ticket 1:1 services require more trust, education and relationship-building. Those goals are supported by blog posts, videos, case studies and testimonials. Knowing what goals to use for your content will shape the platforms and tactics you pursue, and the Content That Converts will walk you through that. Whether you’re stuck on what topics to write about of if you struggle with having too many ideas for your content, our guide helps you create a story bank of ideas that support your offers. You’ll determine a monthly theme so you can narrow down what topics you’ll talk about and keep a nice flow between all of your various platforms. Everything you post that month should directly or indirectly lead towards the sale. 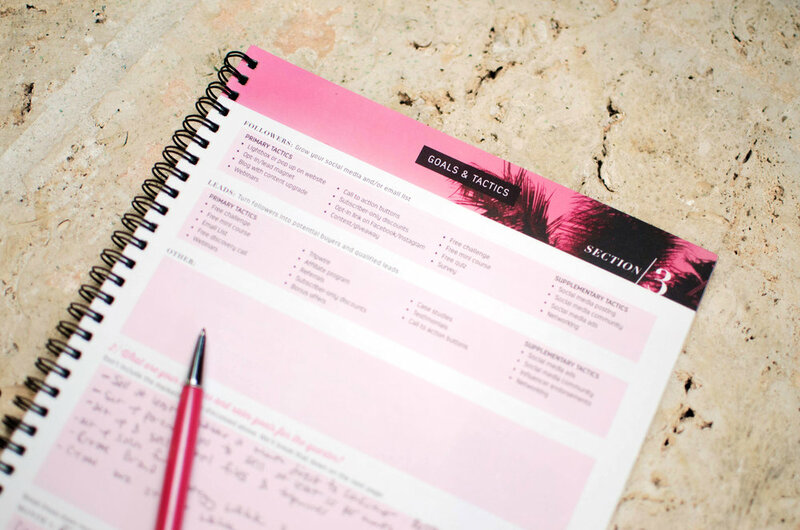 What if I Don’t Have Time to Take a Bosscation to Work on My Planner? 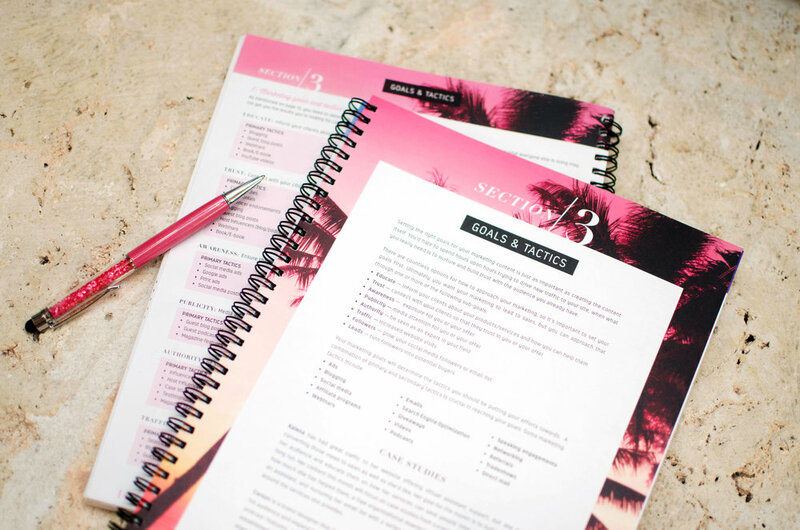 Wouldn’t it be nice to outline and plan your entire content for the quarter in just a few dedicated sessions? While that would be ideal, it’s not always realistic. I have personally found it easiest to plan my content a few weeks at a time. I carve out time on my calendar for content preparation. I take my Content That Converts planner with me to the pool or just chill on the couch as I map out my plan for the month. It makes it so much easier to write each blog post or record my Facebook live videos when I have an intentional goal and outline for each piece. Decide on the non-negotiables for your content creation, so you’re able to determine the best platforms for you. Break down your content tasks & calculate how much time you’re realistically able to spend on content so you know where to focus your efforts. Decide on a budget for a team or tech to help you streamline and post content with ease. Dive deep into your client profile to determine the best type of content to connect with your audience. Determine who your “parallel partners” are so you can collaborate and reach a broader audience. Evaluate your competition and the tactics they use to connect with their clients. 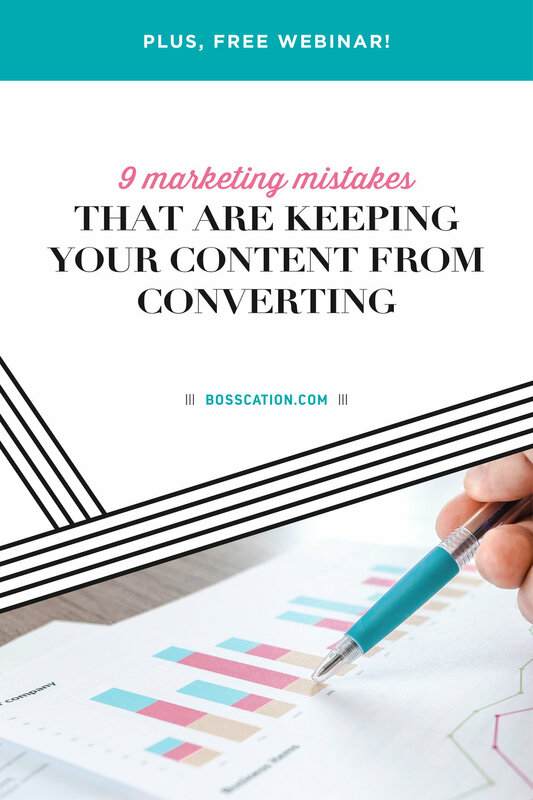 Learn about the various marketing goals you should be focusing on to optimize your content for conversion. Use those goals to choose the best tactics and platforms for your content. Then determine your quarterly goals and tactics that you’ll be building your content around. Decide on what type of unique vs. repurposed content you’ll be creating. Make a story bank of ideas that will help you easily create strategic content. Three months’ worth of content planning pages. Decide what products or services you’ll be promoting that month, so you can create content that leads to sales. Plan out a monthly “campaign” such as a webinar or challenge. Determine the weekly topics for your blog posts, videos, email newsletters and social media. 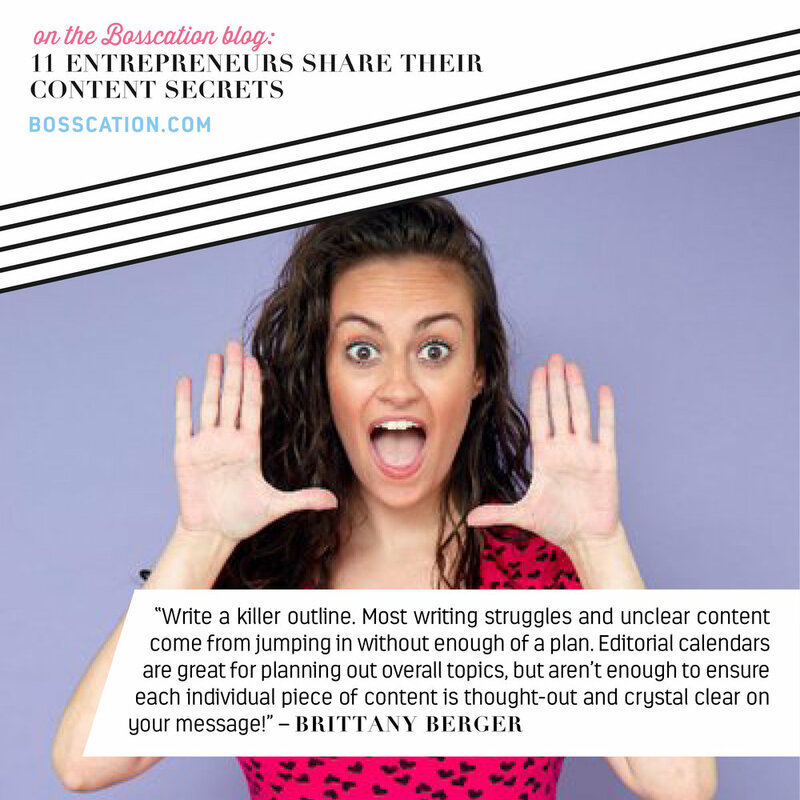 Outline each individual piece of content so you’re ready to write or record! Ready to Create Content That Converts? !